If you own or manage a small business, you probably have many days when you feel overwhelmed by information, data, messages, advice, requests, complaints, email, and social media. One day I was reading some info given to me by a restaurant consultant. I started to wonder how on earth he managed to keep track of dozens of marketing projects with numerous clients. It’s hard enough to keep up with that task for ONE small business. I know there are plenty of project management software tools to choose from, but even that gets complicated…and overwhelming. Then I saw the ingenious trick that he used to stay on point. It’s called a mind map. Instead of trying to manage all this information in traditional outline form—headings, sub-headings, and bullet points spread across many pages—he laid it all out on a single page in visual form. A mind map is a cheat sheet that shows everything on a single page. It reduces an overwhelming number of items to a manageable, visual overview. It makes distant connections visible at a glance. Most importantly it’s perfectly suited to how our brain works. That inspired me to put together two mind maps which you can get free, compliments of the Small Business Rainmaker. 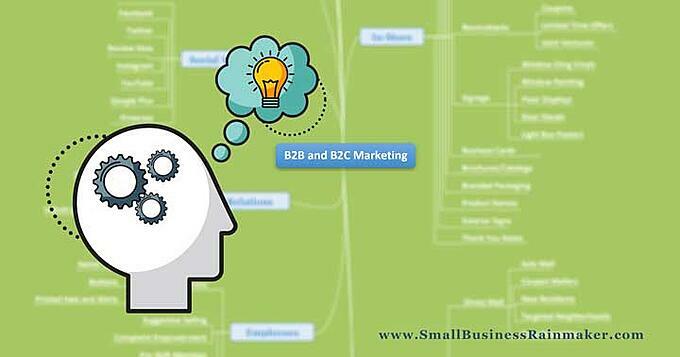 We also offer 7 ways you can benefit by using a mind map in your business. Go here for more info and to download the general small business mind map for free. 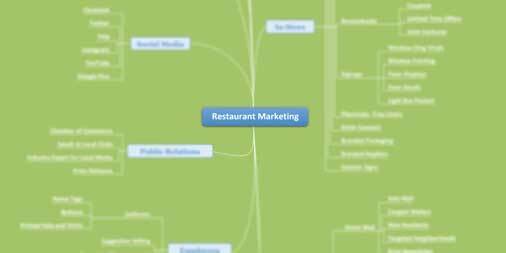 Go here to for more info and to download the restaurant mind map for free. We’ve found them to be incredibly simple yet effective tools that can instantly restore focus to your marketing. Take advantage of this pretty cool trick of the trade from a business consultant’s play book to make your marketing tasks easier to manage.